The original article was published on Daniel Nilsson's private Blog. I think it is safe to assume that you most likely did not receive any training or read any material at any of your jobs. There is one exception. If you work in marketing you may have received a lot of research material with fluffy words that are hard to translate into value and action. Ted Levitt used to tell his Harvard Business School students, “People don’t want a quarter-inch drill–they want a quarter-inch hole.” But 35 years later, marketers are still thinking regarding products and ever-finer demographic segments. Clayton M. Christensen, HBS Professor & Disruptive Innovation Expert is one of the most influential business theorists in the world. He has created papers, books, and videos to explain better that when people need to get a job done, they hire a product or service to do it for them. Our task is to understand what jobs periodically arise in customers’ lives for which they might hire products the company could make. In below video, Clayton explains the Jobs to be done perspective. To deepen your knowledge of the subject I would like to advise you to read Clayton’s article “Know Your Customers’ “Jobs to Be Done”. It contains some additional insights that will help you to better understand the concept and move you closer to find the jobs to be done for your customers. Eric Almqvist, John Senior and Nicolas Bloch from Bain & Company wrote a paper on the elements of value. They have done over 10,000 interviews on 50-plus companies in the US, looking at how consumers view those companies on the elements. From this, they created the 30 elements of value and you can read their article by clicking here. Eric Almqvist explains in the video below some core findings. 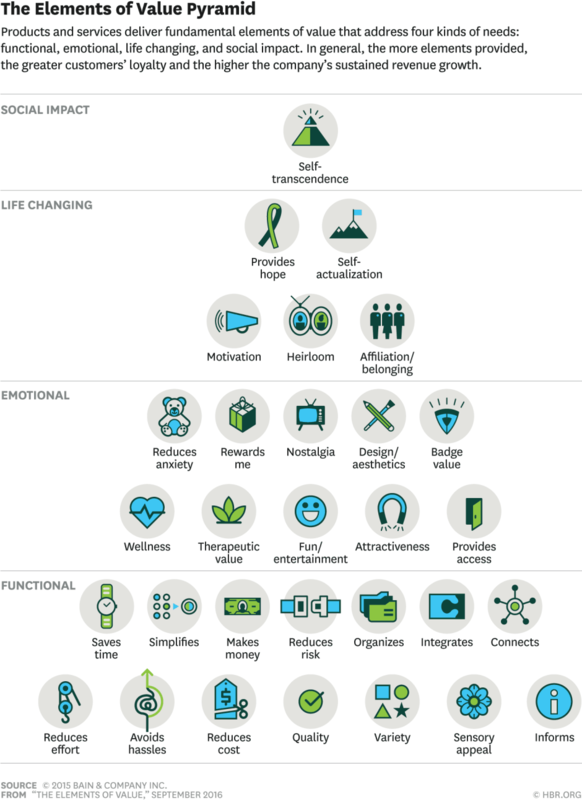 The elements fall into four categories: functional, emotional, life-changing, and social impact. These elements are a great way for you to start asking yourself what elements of values you can deliver with your business model. By now you have a new perspective and you most likely have started to ask yourself: What value do we deliver? This is great but let me take you back to why you are here. The job to create a customer profile / buyer persona. The reason I mention everything above is because to understand the customer you need to ask the right questions. You need to have the right perspective. 2013 I started to work for Mentice, a company designing medical simulation software and hardware for endovascular procedures. My new job was a real challenge for me. First of all, I have never worked in health. Secondly the vertical is heavily regulated, and for the third, I did not have a clue what endovascular was. To tackle the situation I created a 5 step program for how I should learn as much as possible and understand the customers. You can read my story and learn the five steps I took by clicking HERE. The best tool I found to build customer profiles is the Value Proposition Canvas created by Dr. Alexander Osterwalder and Dr. Yves Pigneur. The tools have been used by more than 5 million people and are very popular business tools. The Value Proposition Canvas is a tool to tackle the challenge to create compelling products and services customers want to buy. I have used it myself many times and love it. To build a customer profile is step nr 1, using the tool. See the video below to learn more. You can learn more about the book, download 100 pages for free and buy it by clicking HERE. To download the value proposition canvas click HERE and you should register so you can download all the extra tools Startegyzer offer for free at -> Download Tools. Strategyzer did a webinar where they answered the most common questions about the Value Proposition Design and could be valuable to listen to, click here to listen. Once you have downloaded all the tools, you need to create your customer profile by asking questions to yourself, your colleagues and your customers. The questions are divided into three sections. Customer Jobs, Gains, and Pains. My suggestion is that you print the Value Proposition Canvas. Get pens and a lot of post-it notes. Place everything in front of you and if possible your colleagues.  Start to write down customer jobs, pains och gains on post-it notes. Make sure to write only ONE on each post-it note. Most likely you will create 30-50 different post-it notes once you get started. Place the post-it notes on each section, so you carefully divide jobs, pains, and gains. Once you are done, I want you to take all jobs post-it notes and now sort them in order of most important. Do the same with gains and pains. Below you have a description to get you started. Describe what a specific customer segment is trying to get done. It could be the tasks they are trying to perform and complete, the problems they are trying to solve, or the needs they are trying to satisfy. Describe the benefits your customer expects, desires or would be surprised by. This includes functional utility, social gains, positive emotions, and cost savings. You could be very tempted to start adding all the features your product or service may have. Make sure you don’t lock in yourself. Try to be honest and write up gains you don’t support yet and gains you do support. Describe negative emotions, undesired costs and situations, and risks that your customer experiences or could experience before, during, and after getting the job done. Once you have sorted all your post-it notes you have a customer profile. Create a word document and document the customer jobs in order of importance with a comment, do the same with pains and gains. The customer profile can now be used for marketing to create strong messages. For sales to create better value propositions and for product management to understand the customers. Evelyn Wolf has previously worked for Hubspot and has created a very good summary of Buyer Personas and what questions you should ask. Read her article Hello, is it you I’m looking for? and understand the details. Pamela Vaughan has written the article How to Create Detailed Buyer Personas for Your Business [Free Persona Template] for Hubspot and I think it is good plus you can download their template all for free. Pamela’s tools is a perfect choice if this is the first time you are building a Buyer Persona. 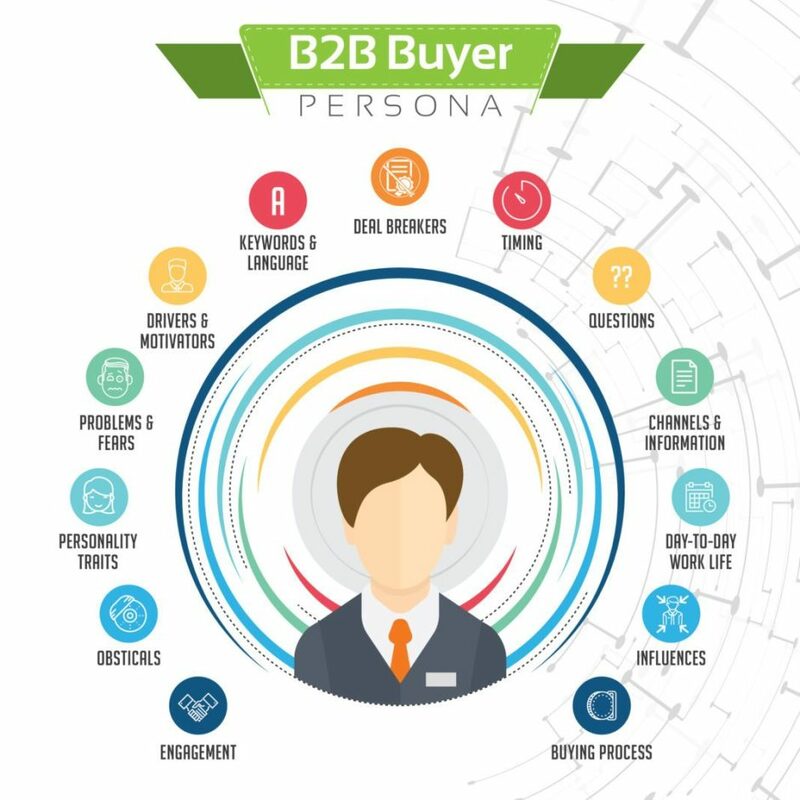 For a more useful and actionable B2B Buyer Persona I strongly recommend that you check out Richard’s article How To Create Actionable, Goal-Directed B2B Buyer’s Persona. His perspective is a more complete persona that will give you the deep understanding about the prospect. Your new insights will help you to create better marketing, better sales processes, better sales tools, etc and help you reach your goal — Increase Sales and acquire Happier Customers. I have created an article that explains How to Create a Strong Value Proposition for B2B. In the article, I give you 4 tools plus hands-on tips on how to create your Value Proposition. Use your customer profiles / buyer personas and create really good value propositions. The Design of a Sales Process is the first step to create real growth in your sales pipeline. To design it you start by defining a customer buying process. I think that customer profiles / buyer personas are a great support for this activity. Read my article How to Design a Sales Process for B2B Sales to learn how you can increase your sales. With the right perspective, you will be able to explore and ask questions that will help you create a well defined and valuable customer profile. You can then define a buyer persona and start to use your tool to educate the different departments in your organisation and start to build better value propositions and sales processes. I hope you have a great use of this article and all the tools. Please spread it if you like it.